To see ACCA’s The Exchange, where this article is featured, click here. This guide helps nonprofits articulate more clearly the purposes and processes of an evaluation, regardless of the size, mission, or location of the organization. It’s a conversation starter and a means to open a dialogue with your stakeholders in a subject area that can be complex and difficult. 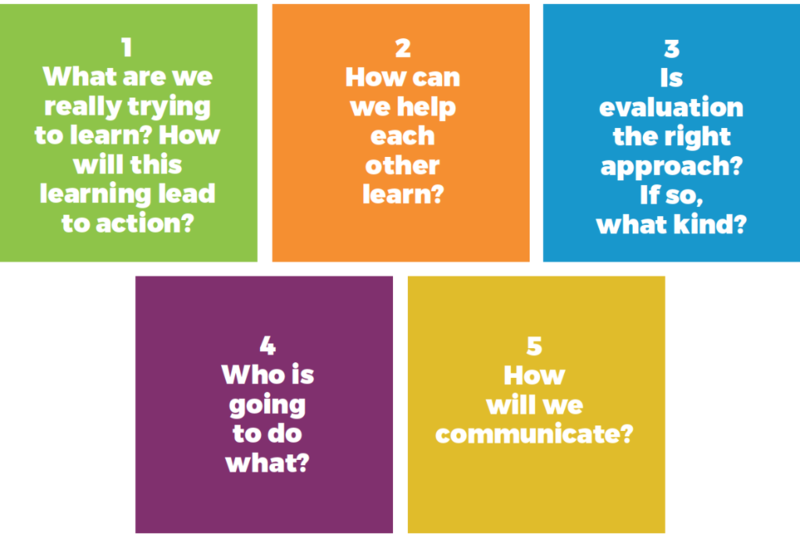 The core of the guide revolves around five questions that can be used when talking with funders and other stakeholders. The goal is to find simple, yet powerful, ways to make evaluation more meaningful. The outcomes and impacts of projects are the subject of much discussion in the non-profit sector. Organizations want to achieve the best possible results for their target groups and, at the same time, funders are calling for more evidence about the benefits yielded by the projects they have supported. Nonprofits aim to achieve the best possible results through their work. This involves monitoring each phase of a project in order to ensure progress toward the intended objectives. However, many organizations have neither the expertise nor the instruments needed to systematically integrate impact orientation into their work. In a context of limited resources, impact orientation is regarded by many organizations as a desirable but difficult or “unrealistic” task. PHINEO offers step-by-step explanations and practical examples in their free, online publication: Social Impact Navigator: The Practical Guide for Organizations Targeting Better Results.